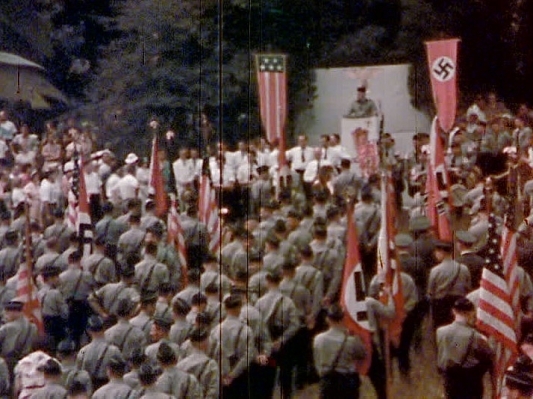 "During the past four years, 21 camps have been erected in the United States under the auspices of the pro-Hitler German-American Volksbund... Strongest critic of alleged Nazi activities in this country has been U.S. Representative Samuel Dickstein of New York. Besides pressing for a Congressional investigation, he last week read into the [Congressional] record the names of 46 'spies' he said were being paid by Germany to organize Nazi activities in this country."